With a dynamic drive, the right tools and a little creative spark, anyone can become an expert in affiliate marketing. Who cares about being an expert though, right? You’re focused on the green, the cash, the cold hard earnings that you can receive if you follow the right affiliate marketing tips. Easy affiliate marketing is just an idea away and here are three good ones to get you started. With these lucrative affiliate marketing tips and a video camera, you can film yourself reviewing the products or services in question. If you can accurately convey the product and its benefits, you’ll entice more views as people start sharing the video around. Just leave your easy affiliate marketing link at the bottom of the video and watch the traffic come rolling in. I know what you’re thinking: You can’t put affiliate links on YouTube and other video sharing sites. Here’s the caveat. You should make a dedicated website featuring the product or service with your own self-hosted URL, which will then draw traffic to your affiliate site. This is one of those affiliate marketing tips that you unfortunately can’t get around, unless you get creative. Another example of easy affiliate marketing involves taking your online efforts offline. Find an affiliate marketing offer and then print out a good looking color flyer on quality paper and take them to a local trade show where you think that offer would be a hit. Offer to buy lunch for the people running a particular booth if they’ll let you put the flyers on the counter and watch your sales increase. This is one of those affiliate marketing tips that may set you back a little bit, but it’s worth it when you consider the return on each affiliate marketing sale made. You may not consider this easy affiliate marketing, but paid ads don’t have to be complicated. Once you have your affiliate marketing website set up, create some enticing ads that you can place on one or more networks. Set your daily limits so you don’t go broke on the first day and watch your results. Then, as you should do with all of these affiliate marketing tips, test your results so that you can duplicate your success every time. If you use the trade show idea, the traffic generated is going to depend on the location of the booth counter you’re leaving the flyers on, as well as the attendance level of the trade show event. If you’re following an online affiliate marketing method, you will want to drive traffic to each of the elements you’ve created. We’ll start with affiliate marketing tips for online videos. When you have created an easy affiliate marketing review video, make sure the title includes the name and model of the product in question. You can also include descriptors if you think it will help to entice more viewers to your affiliate marketing offer. As with most of these affiliate marketing tips, always try to be creative and outdo what other online marketers are doing. If other marketers are reviewing the same product or service and they end up using the same title, they may outrank you. For this reason, use the name and model early on or use your judgment on descriptors that you think might draw more traffic. Test your easy affiliate marketing video titles and don’t be afraid to change them around if you think you might outrank a similar affiliate marketing video by a competitor. These easy affiliate marketing tips and methods are unique in that they require unorthodox thinking. Don’t do what everyone else is doing and be careful about following affiliate marketing trends. Try to stay one step ahead of everyone else and you can do this by experimenting and by learning to take chances with these affiliate marketing tips and any others that you might learn. Once you find success with one easy affiliate marketing method, you’ll get the hang of how it’s done and you’ll be able to recreate your success many times over. It’s truly that easy. Imagine having a stream of affiliate marketing videos, a stream of income from trade shows and one from paid advertisements all coming in at once? That’s all money that you earned by selling products that were not your own and you only had to do the work once. That’s how easy affiliate marketing is done. Take these affiliate marketing tips and apply them to your own campaigns. With a little left-field thinking, you too can recreate the success that easy affiliate marketing has the potential to generate. 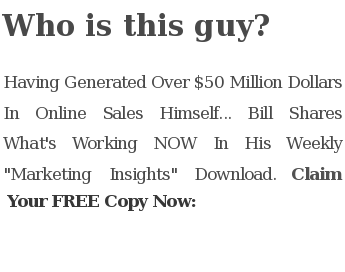 This entry was posted in News and tagged Affiliate Marketing, affiliate marketing tips, easy affiliate marketing by Bill. Bookmark the permalink.